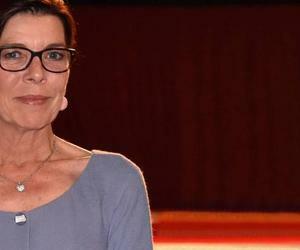 Caroline of Monaco, Princess of Monaco and soon to be Princess of Hanover is in Havana since Tuesday 27. As reported by some media Caroline, first in line to the throne, eldest daughter of Rainier III, Prince of Monaco and the American actress Grace Kelly, is in Havana to attend the debut on Friday 30 of the Ballet of Monte Carlo, which will present a version of the play Cinderella on the occasion of attending the XVI International Festival of Theater of Havana. During her stay in Havana, Caroline will meet with teachers and members of the National Ballet of Cuba and likely also its director and prima ballerina assoluta Alicia Alonso, although it has not transcended the date of the meeting.